New England Village is a residential community for the developmentally disabled that is located on a largely undeveloped 75-acre site. 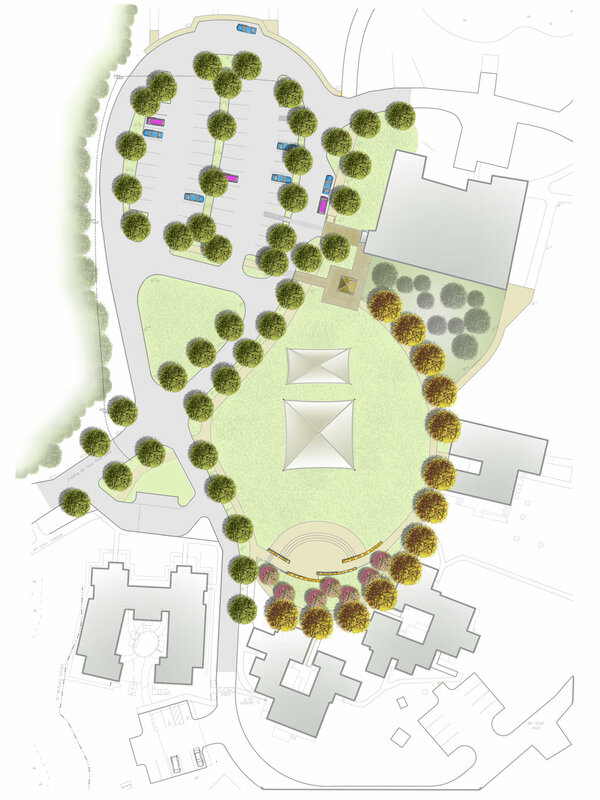 Coyle & Caron was hired to develop a long term vision for a campus master plan. The first phase of the master plan is focused on redevelopment of the campus green including planning for future building sites, a new amphitheater/flexible outdoor space to accommodate large annual gatherings, walkways, lighting, signage, planting, grading, and drainage.